An accusation of a white-collar crime can be devastating both personally and professionally. If you have been accused of a white collar crime you need the skills of an experienced attorney. For more then twenty years, The Law office of David W. Polsky has been representing those charged with non-violent crimes in Northern New Jersey. In past years, “white collar” crimes received little attention, and law enforcement authorities and prosecutorial agencies did not devote their resources and time to investigate such matters or prosecute those believed to be responsible. 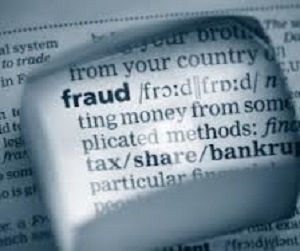 In recent years, all of that has changed, and professionals and those in the business world face the prospect of substantial punishment, monetary and otherwise, for committing white collar crimes. In New Jersey, allegations of white collar crimes are serious matters that can carry severe penalties, including prison time, extensive fines and loss of employment; additionally your reputation is in jeopardy of being tarnished. By aggressively conducting proactive internal investigations and designing high-quality defense strategies during the investigatory stages, our firm can successfully defend your case all while maintaining the highest level of discretion. We will negotiate with prosecutors in order to prevent a trial and provide aggressive advocacy in the courtroom if a criminal trial is necessary.